I really felt like Marathon's Souvlaki but I decided to make my own, healthy version. 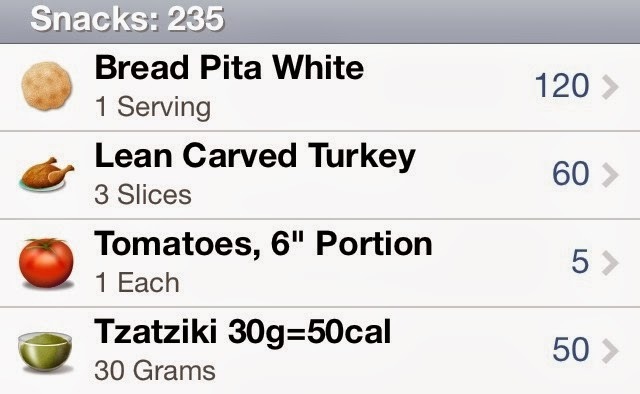 I used turkey instead of chicken simply because I had it pre-made in the fridge but both would work in this sandwich. Next time I'm going to try loading it with more vegetables but overall, this quick snack satisfied a craving in a healthy way! 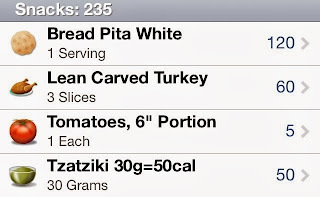 Eating at home is typically healthier, more economical and much easier to track calories and macronutrients. 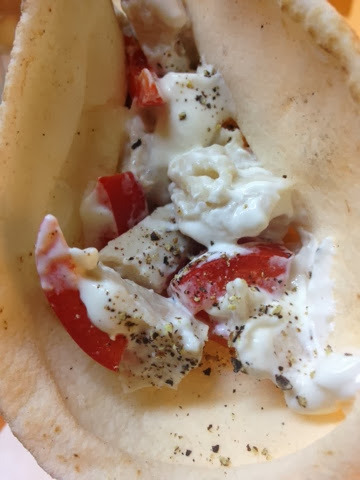 Try it out if you have some pita, meat, tzatziki and any veggies. Simple enough!